Are you looking for a professional Ball Head? Is low weight as important as high load capacity? Do you want to achieve even and soft movements? 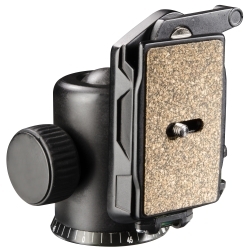 Then decide in favor of our walimex pro FT-001H Ball Head! 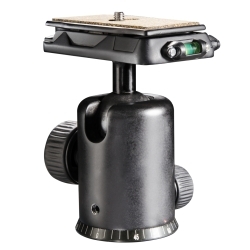 It has a reliable quick-change mechanism, which facilitates the change from the tripod into the hand. The Ball Head is equipped with a 1/4 inch camera connection as well as a 1/4 and 3/8 inch tripod connection. Through the load capacity of approx. 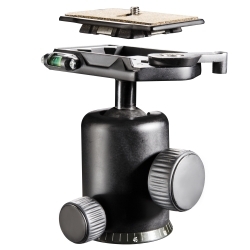 5kg, the Head is ideally suitable for small format, SLR, digital and medium format cameras. Furthermore, the Tripod Head is provided with 2 bubble levels for precise adjustment and a scale, which is ideal for e.g. panorama shootings.